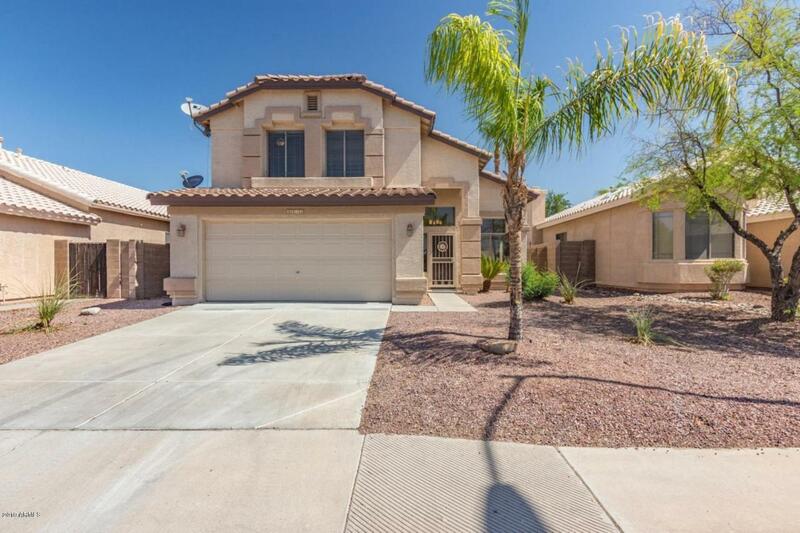 Must See Gorgeous ''Model'' home with private backyard backing greenbelt. Updated kitchen features a center island, granite counters, glass tile back splash, new ss appliances, neutral tile floor with beautiful white cabinets with a separate breakfast nook. Upstairs provides over sized bedrooms with ample closet space. Beautiful Master features a unique bathroom barn door style suite with new quartz counters, vaulted ceilings and walk in closet. Energy efficient 14 seer A/C unit and water heater replaced 3 years ago. Enjoy the large covered patio and lush green grass for kids and pets with plenty of room for a pool. Don't miss out on this home!!!!! © 2019 Arizona Regional Multiple Listing Service, Inc. All rights reserved. All information should be verified by the recipient and none is guaranteed as accurate by ARMLS. The ARMLS logo indicates a property listed by a real estate brokerage other than HomeSmart. Data last updated 2019-04-24T10:10:37.167.